"Marriage isn't so much about finding the right person as it is about being the right person." Lovely. Great photo to accompany it as well. I really like that quote...marriage is hard and takes work, and you're constantly trying to work on yourself to be the best you can be for the other person! It's been so long since I have commented on a blog and I have to say I'm glad it's yours! awww, how sweet of your fiancee! 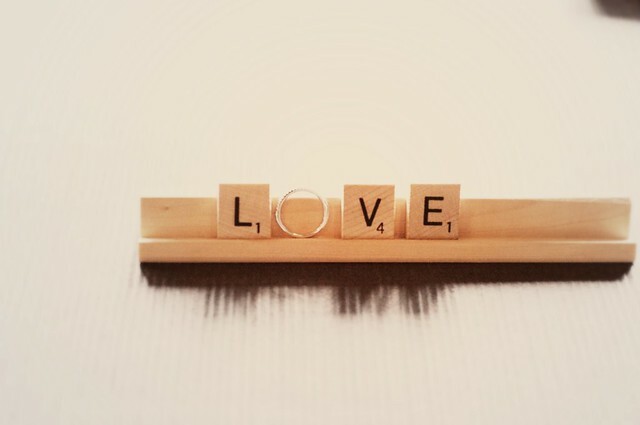 and what a lovely scrabble picture. wouldn't that just be the perfect way to propose to someone? That could not be more true. I always what would happen if every married couple did more work on themselves than they did trying to fix their spouse. The divorce rate would plummet. Fixing ourselves is the only thing we have control over.